Merry Christmas to the WELSTech Community! Enjoy this week’s podcast as our tech-in-ministry gift to you. Pastor Eric Roecker, recently called to serve as Administrator of WELS Evangelism, chats with Martin and Sallie about his new responsibilities and the evangelism resources which are being planned. Episode 582 – We welcome 2019 with a look back at the best of 2018. Release date: Tuesday, January 1. This week we observe WELSTech’s milestone recording of episode 500 with a history making interview. For the first time in 9+ years, Martin and Sallie are in the interviewee chairs as Nicole Balza questions the WELSTech co-hosts about the show history and future. Pastor Mike Hinz also drops by to share information on WELS Daily Devotion. Let the celebration commence! Together with WELSTech – The 500th episode of WELSTech is cause for celebration, including a refreshed website design thanks to webmaster Julie Duran, along with updated music and video imagery. There was even delicious cake shared at the Center for Mission and Ministry. In the recording studio, episode 500 seemed like the perfect time to break new ground on WELSTech by having the interviewers (Martin and Sallie) become the interviewees. Nicole Balza, host of the Together and Heart to Heart video series, is in the driver’s seat and explores a bit of WELSTech history, the community that has grown around the show, favorite memories, and a look at the future of WELSTech. Reaching out with Daily Devotions – Pastor Mike Hintz, director of WELS Commission on Evangelism, shares the history of WELS Daily Devotions as well as a behind the scenes overview of production of the written and podcast versions of the devotions whose archives are over 3,900 strong and growing. From the WELSTech “Like’s” list on Vimeo, enjoy Martin Luther College Choir’s performance of I Will Rise. Episode 501 – Join Martin and Sallie for the kickoff of the WELSTech summer focus on Ministry Resources. Release date: Wednesday, June 14. Technology has provided many opportunities to improve visitor follow up in churches everywhere. From prospect/visitor databases to easy-to-download new resident lists to wonderful tools like Mailchimp, the Evangelism team at your church has a lot of options and tools available to them. Today I wanted to highlight one pastor’s approach to using one of the most useful features of Mailchimp — Automation. Please be sure to watch the video below for all the details, but here are some of the reasons I think this “Rookie Preacher” has put together a great approach to visitor follow up through email. I like the use of a pastor’s welcome message as the main subject of the first email. It makes the contact a little more personal. If they view the video they hear a real person with a real message specifically for the visitor. The second email makes use of another technology from Survey Monkey. I think a great next contact after a warm welcome is a chance for them to react or respond to a short, non-threatening survey. You get good feedback and leave a positive message that you value what they have to say. You are making a rather sterile encounter more interactive. The fact that this is all automated will make this more feasible for some churches, especially if you have a lot of visitors. This of course may not take the place of personal follow up. But I can see this strategy as something to augment that. People are hard to reach these days. This may be the only contact you have with them. Mailchimp is such a great tool to consider. It is fairly inexpensive. It has great analytics, so you can tell if your efforts are paying off. And using a subscription service allows anyone to easily “unsubscribe” from any future communication, thus respecting their privacy if they wish to not hear from you again. Again, be sure to watch the video. It is rather short, but informative and perhaps inspirational if you are looking to improve your visitor follow up. Perhaps one of the unsung heros of all the WELS internet properties is www.whataboutjesus.com. It’s primary purpose is to answer that very question that many people ask…what about Jesus? Who is he? Was he real? Why should I believe in him? How will he change my life? If you are not familiar with the site, I’ve put together a little “top ten” list of why you might want to tag this site as one of your “go to” digital evangelism tools. #1: It addresses many of the common questions a person might have about Christianity in general, and Jesus in specific. #3: It provides daily devotions that can be read, emailed, or listened to via podcast. And then shared of course! #4: It provides worship helps that will prepare new and old Christians for worship the following Sunday by listing the common readings and brief questions and answers on each. #5: It provides “catechetical” aids that cover things like the Apostles Creed, Communion, the Lord’s Prayer, and other key topics that can sometimes be confusing. #6: It provides an easy way to submit a prayer request. These requests are then passed along to people who have volunteered to pray for you and the requests you have. Everything is kept very confidential. #7: It provides biblical answers to the relevant questions someone might have today concerning life, friends, and society. This site is not a stodgy set of “theological truths” that are hard to read, little lone understand. This is relevant content! #8: It provides Bible studies that can be used in many contexts. They include studies on John, Colossians, Romans, Great Chapters of the Bible, and significant people of the Bible. #9: It’s design is fresh and mobile friendly. On this edition of WELSTech, we discuss ideas and examples of digital outreach web sites, podcasts, video channels and e-news including the Bread For Beggars site started in the WELS South Atlantic District. It may be our longest episode ever, but you’ll want to hang on for all the picks, WELS.net features and community feedback goodness we’ve packed into this show! Niche Evangelism – Going beyond traditional church web sites, many people are using creative digital content to reach out with the good news of Jesus Christ. Martin and Sallie take a whirl-wind tour of specialized digital ministry efforts across the web and discuss tools and channels you can use for your own outreach as part of congregation efforts or on a personal level. (25:06) The Bread of Life – Pastor Mark Parsons from Christ the King in Port Charlotte, FL and Matt Visaggio talk with Martin and Sallie about the web site Bread for Beggars, an outreach focused site started in WELS South Atlantic District. (56:25) Register online to attend the first WELSTech Camp, a free un-conference coming up September 14 at Martin Luther College. Check out the link for all the details including a Friday night meet-up and deals on hotels in the area. 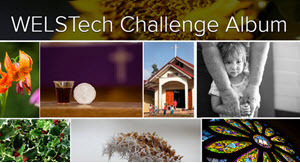 This week on the WELSTech podcast Martin and Sallie discuss ideas for reaching out to the non-techies in your congregation. Tackling tech fears – Has your congregation considered offering TSL classes – “Tech as a Second Language”? Martin and Sallie explain how patience and communication are key factors in turning technophobes into digital consumers. Welcome to the Web – Great Internet and computer basics lessons, kid-friendly but helpful for adults too! (16:06) Technology Malawi-Style – Missionary Paul Nitz joins Martin and Sallie from Lilongwe, Malawi to talk about the blessings and challenges of mission work Africa, and how technology is helping. (40:55) Build a $100 Document Reader – a Do-It-Yourself dream! Martin’s Glo Bible demo video is a hit! Mark Helman from Twinfinity Creations has the music of Susan Ann and continues to learn from WELSTech!